COCKAIGNE: LETS GET TIGHT Lunchtime Instore May 26th Basement Discs and more news from Graney and Moore. Cockaigne- medieval legend- " a land of idleness and luxury" . Record label/imprint primarily for the work of Australian musicians Dave Graney and Clare Moore. Along with their bands , the mistLY and the DAMES. Dave Graney and Clare Moore. Moodists -Coral Snakes - mistLY - DAMES - NDE Dave Graney and Clare Moore - musicians, performers and film and tv composers. 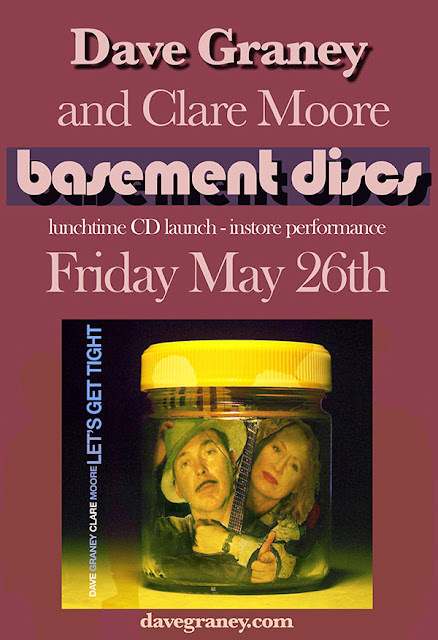 LETS GET TIGHT Lunchtime Instore May 26th Basement Discs and more news from Graney and Moore. A recent interview at KINDERLING KIDS RADIO with Dave Graney talking to Barry Divola about music he heard when growing up can be streamed here. The album can be obtained as a CD via the Dave Graney website or Bandcamp. The CD is also available at Rocksteady Records in Melbourne, Redeye Records in Sydney and Streetlight Records in Adelaide. Lets Get Tight is at iTunes here. 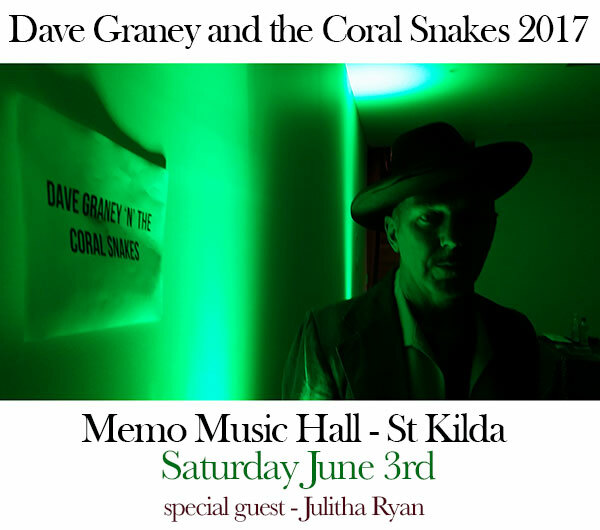 Dave Graney and the Coral Snakes will be doing a Melbourne show at Memo Music Hall on Saturday June 3rd with special guest Julitha Ryan opening the show. A clip from the recent first part of the LETS GET TIGHT TOUR. As well as shows with the Coral Snakes in Sydney and Newcastle, Dave Graney and Clare Moore played a string of shows in regional NSW with Georgio "the dove" Valentino and Patrizia F from Luxembourg. The last date was in Candelo and, leading up to it, they played early one morning at the ABC in Bega and it was filmed. There will be further dates scheduled soon. Plans are afoot for a visit to Europe in September and Dave Graney has delivered a second memoir to Affirm Press for publication later in 2017.